Copy writing with SEO for marketing, HTML, and keyword research by Steven Trustrum. Written in Word. Keyword research with Goggle Keyword Planner. 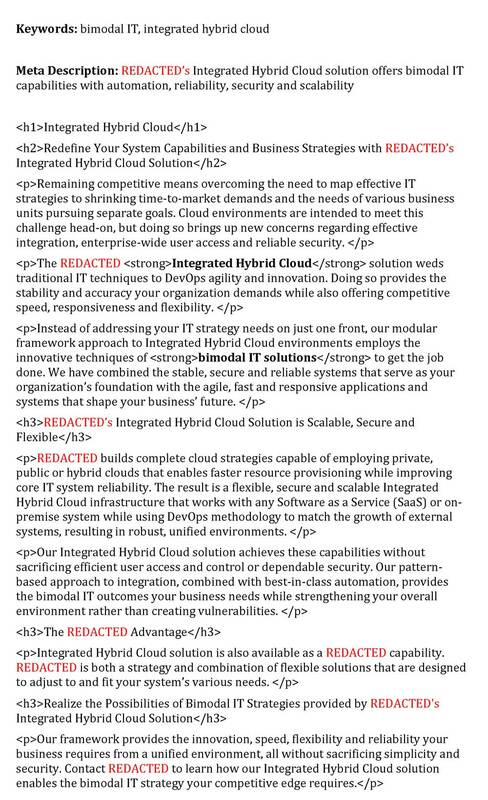 Some details redacted to protect client confidentiality.